"I am in a really, really, good space. 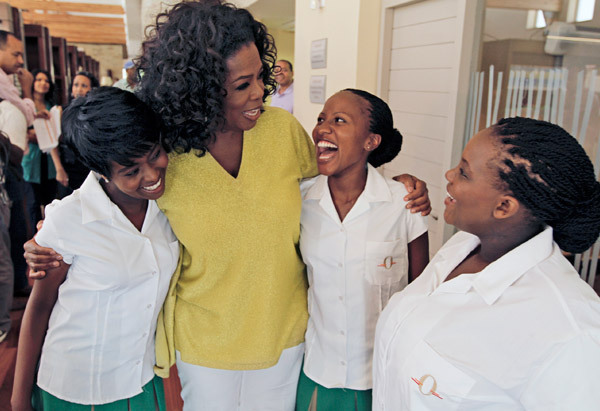 Being able to step into the mother role has brought, unexpectedly, the greatest source of happiness in my life said Winfrey. " "We’re texting all the time," Winfrey told ABC News’s JuJu Chang recently. "I was on the phone last night for an hour with one of them." 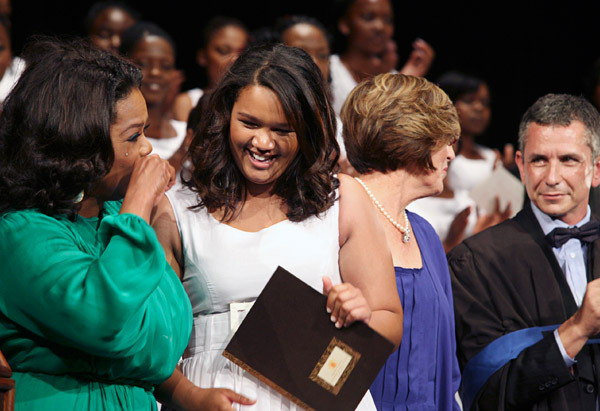 Oprah is moved to tears when graduate Marwiya James is presented with the Oprah Winfrey Leadership Award. 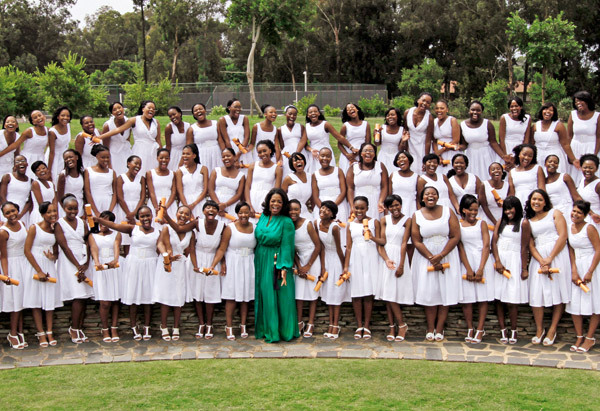 Watch Oprah's commencement remarks and see why keynote speaker Graça Machel says the graduation is a triumph for the whole country.